A few years ago a friend of mine gave me a Creme Brulee kit, I finally opened the box and decided to make this dessert. Unfortunately I could not get the torch to work so I put it back in the stove under broiler to carmelize the sugar. As I mentioned before I’m not much of a baker but it looked easy enough. I already had a recipe from Ina Garten’s cookbook, Barefoot in Paris. Meanwhile scald the cream until it’s hot but not boiling. Add to the egg mixture very slowly and on low speed. Add the Grand Marnier and vanilla. Pour into 6 8 ounce ramekins until almost full. 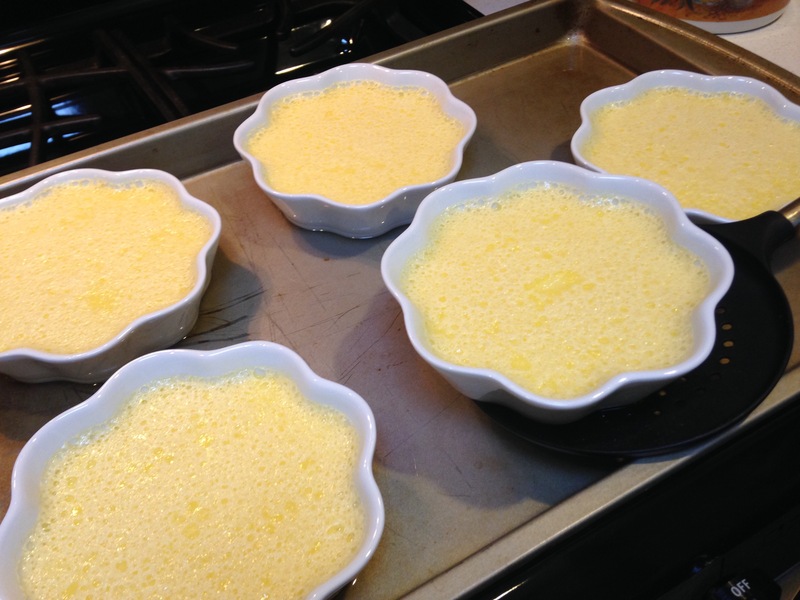 Place the ramekins in a baking pan and carefully pour boiling water into the pan to come up halfway up the sides of the ramekins. Bake for 35 to 40 minutes or till the custard has set when gently shaken. Remove from the pan and let cool to room temperature and refrigerate till firm. 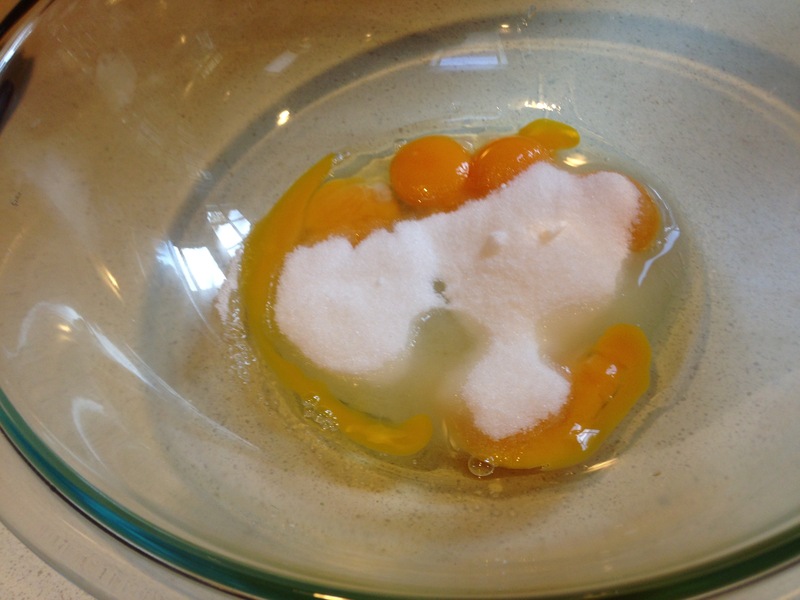 To serve pour 1 tablespoon of sugar on the top evenly and heat with a kitchen blowtorch to carmelize. Allow it to sit at room temperature for 1 minute. so the sugar hardens.